Vasundra Pathmarajah, mother of Visions Founder Meera Pathmarajah, was integral to the establishment and development of Visions. An ardent supporter of children’s education, she fervently devoted much of her resources and skills to advancing the Visions mission. In memory of Vasundra’s compassionate service, Visions is honored to serve as the official fiscal sponsor of STEMM until it is able to operate as an independent initiative. To create and maintain a national bone marrow registry in Sri Lanka as a resource for South Asians globally. 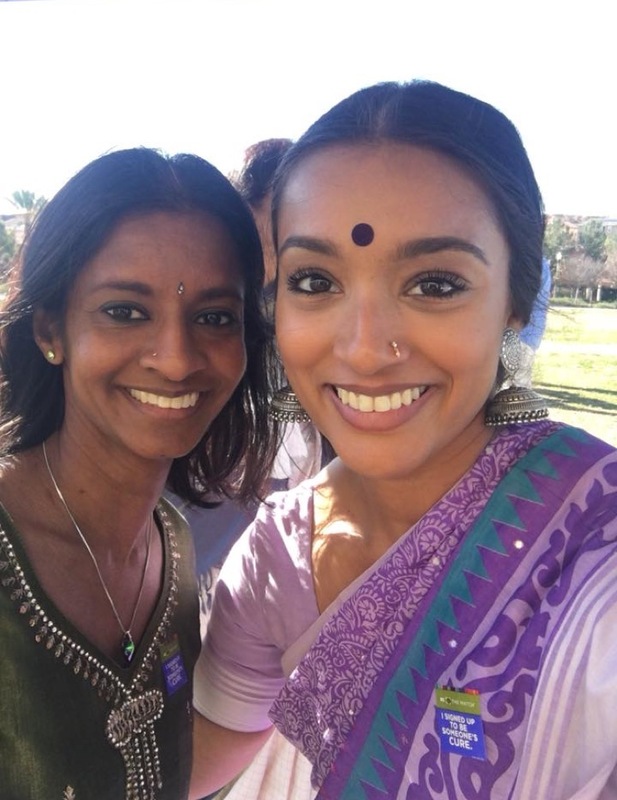 In September 2017, Vasundra, a naturalized US-citizen of Sri Lankan origin, was diagnosed with acute myeloid leukemia. For individuals suffering from life threatening blood cancer related diseases, a stem cell transplant is the only hope for a cure. Not able to use her own cells, and with no match from her siblings, children, or global or national bone marrow registries, her family, friends and relatives launched a social media advocacy and outreach campaign aimed at mobilizing the South Asian community to register in the national bone marrow database. The social media campaign was complemented by numerous bone marrow drives in California, Boston, New York, New Jersey, London, India, and Toronto which added over 1,300 additional donors to the world-wide donor registry. In January 2018, Vasundra tragically passed away at Los Angeles’ City of Hope Hospital awaiting a donor match. This process was an eye-opener to the dire situation facing Sri Lankans in need of stem cell or bone marrow matches; there are currently no bone marrow registries in Sri Lanka. Since tissue types are inherited, patients from the same race are more likely to find an appropriate match within the same community. 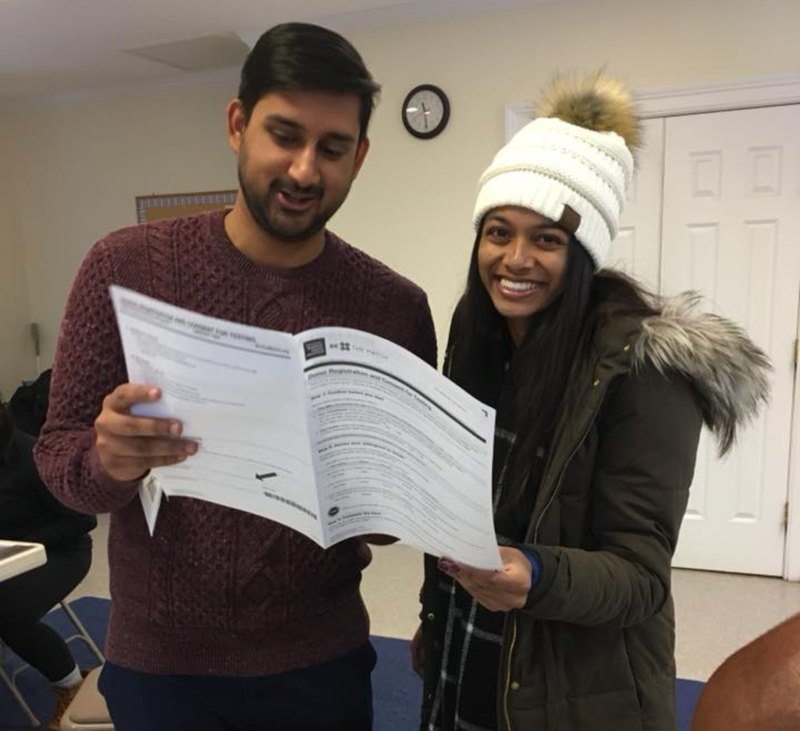 As a legacy to Vasundra, the Pathmarajah family, friends and colleagues are committed to establishing STEMM (Sri Lanka Towards Expanding Marrow Matches), a bone marrow registry which will serve as a life-saving service for Sri Lankans and the larger group of South Asians worldwide. In collaboration with national counterparts and institutions including Sri Lanka’s National Cancer Institute, the National Blood Transfusion Program and the Bone Marrow Transplant Program (BMT), STEMM aims to complement ongoing efforts to leverage partnerships and fundraise to support a flagship bone marrow registry and laboratory co-located with the BMT in Maharagama. Sri Lanka has already taken a leadership role in the region and established a Bone Marrow Transplantation Program (BMT) and unit. This was accomplished through an innovative public-private partnership between the Sri Lankan Government’s National Cancer Institute (NCI), National Blood Transfusion Service (NBTS) and St. Vincent's Hospital in Sydney, Australia. The BMT Program was originally envisioned to include a bone marrow donor registry, but due to high costs, it was scaled down to a Transplant Unit which after only one year of being operational, has already undertaken 20 successful transplants. The costs to set up STEMM will include set up of donor center, registry, laboratory and annual operating budget to include salaries plus testing, equipment and travel. Set up and operational costs are estimated at $150,000 The STEMM committee is committed to fundraise and bring partners to the table to cover the first two years of operation. This budget has been modeled against the highly acclaimed Armenian Bone Marrow Donor Registry (ABMDR) established in 1999. Dr. Frieda Jordan, founder and president of the Armenian Bone Marrow Donor Registry, has vast experience in establishing molecular typing laboratories and bone marrow registries and has committed to provide her expertise and support the execution of STEMM and offered the ABMDR facility in Yerevan as an in-service and pre-service training opportunity for Sri Lankan STEMM staff. DONATE: Make a tax-deductible donation to STEMM via our fiscal sponsor, Visions Global Empowerment (U.S.A.). Enter “STEMM” in the option to write special instructions to seller. You can also write a check to Visions with STEMM in the memo and mail to 1621 Barry Avenue #PH1, Los Angeles, CA 90025. HELP US FUNDRAISE: Our mission requires a community-wide effort. Spread the word about STEMM and plan a fundraiser in your community. Please email STEMMRegistry@gmail.com to share your fundraising ideas and plans with us. JOIN STEMM: The STEMM group is comprised of volunteer experts, professionals and humanitarians spread across multiple countries, united by our passion to ensure that current and future blood cancer patients have a higher chance of survival. Please reach out to us – we would love to discuss opportunities to get you involved. REGISTER TO BECOME A STEM CELL DONOR: Please visit https://www.wmda.info/ and register to become a life-saving stem cell donor. All it takes is a cheek swab!